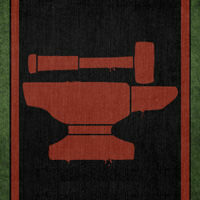 Greetings, Tamriel Foundry community. 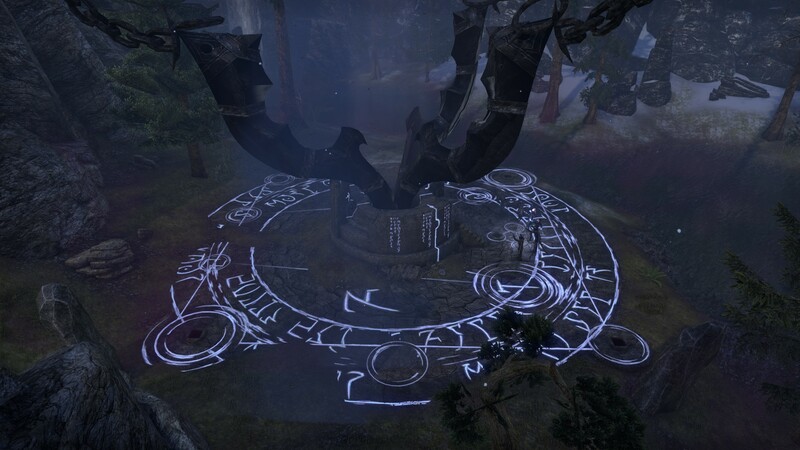 I'm thrilled to feature an awesome guide and resource from community member Shalinoth detailing everything you need to know about Dark Anchors (or Dolmens) in The Elder Scrolls Online. Read on for the full scoop on the enemies you face while tackling these challenges, the mechanics to defeating them, and particular strategies that are helpful when confronting an anchor yourself! Dark Anchors confront players with difficult and dynamic challenges. 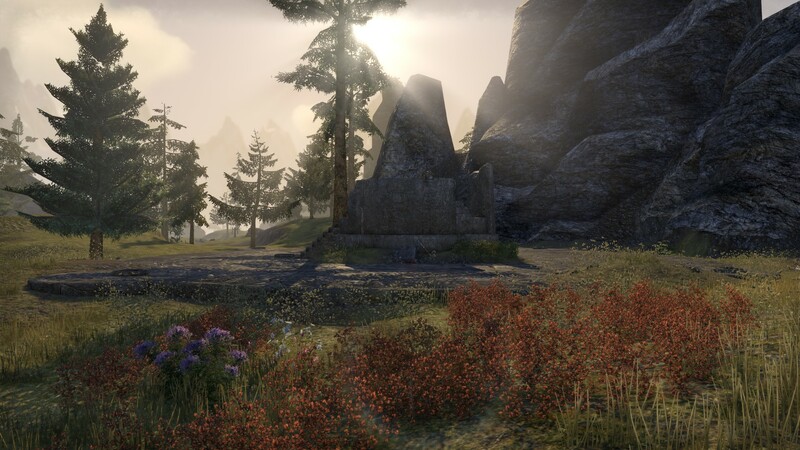 Hello Everyone of Tamriel Foundry! My name is Shalinoth, and the following will be a detailed guide on Dark Anchors throughout ESO with information pertaining to their enemies, mechanics, rewards, and general strategies that you can then apply to defeat them either by yourself or with a party. In this guide I hope to be able to clear up some misinformation and answer questions. This is intended to be a learning resource for all, but it may contain spoilers for some players. 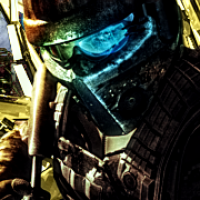 It will contain both basic and advanced tactics and information. 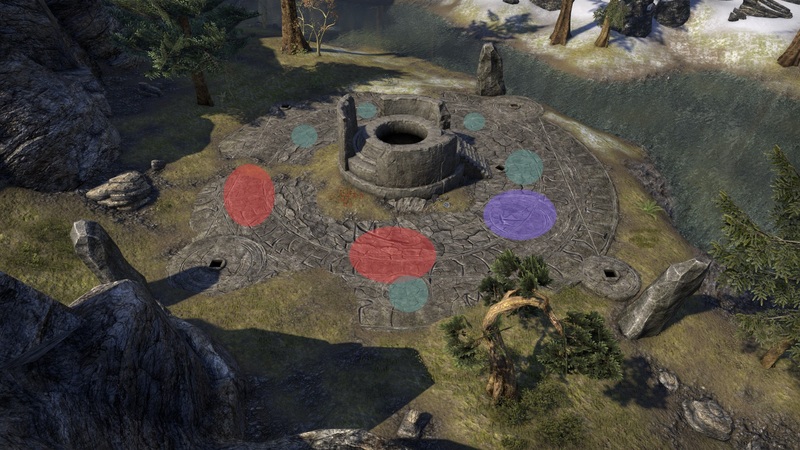 I have obtained all of the Dark Anchor Achievements and spent quite a bit of time getting to understand them, so I feel I have sufficient knowledge to share with the community of ESO. Disclaimer: This is based on information I have gathered through my leveling and achievement hunting experience through over 300 Dark Anchors, the majority of which were VR 1-5 in the Ebonheart Pact region done solo or small group while I was VR 10 with moderate gear. However, all of the information regarding mechanics and enemies is relevant to any Dark Anchor. An inactive dolmen seems fairly non-threatening! 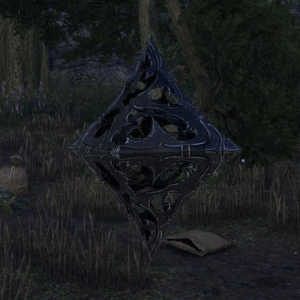 Dark Anchors, also known in the Elder Scrolls Online as Dolmens, are dark portals that servants of Molag Bal summon throughout Tamriel. 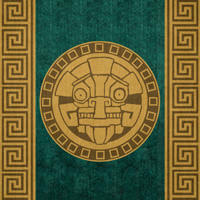 You can then battle against the forces of evil and destroy them to gain experience and other rewards. You will encounter many Dark Anchors in your travels, and it is good to know as much as you can so you can be better prepared to do them effectively and efficiently. There are a total of 3 Dolmens per zone, making up 15 per faction with the exception of starting islands, Coldharbour, and Cyrodiil, which has 10. Molag Bal is not always kind to his cultist minions. After that, you will encounter many different types of monsters, all of which fall under the Daedric/Undead category, so Fighters guild abilities are highly recommended, namely Expert Hunter. Note: Aside from Flesh and Flame Atronachs, others of this variety are not currently affected by this ability even though they may have the “glow” effect when it is slotted. For the purposes of this guide, I will be using the following terms and splitting enemies into 4 tiers or types: Normal, Hard, Dread, and Generals. More information on spawning can be found in the mechanics section below. 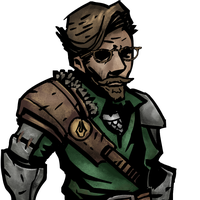 Normal enemies are the “trash”, and are in the order of what I believe to be kill importance. Flame atronachs are one of many daedric enemies which stream forth from Coldharbour. 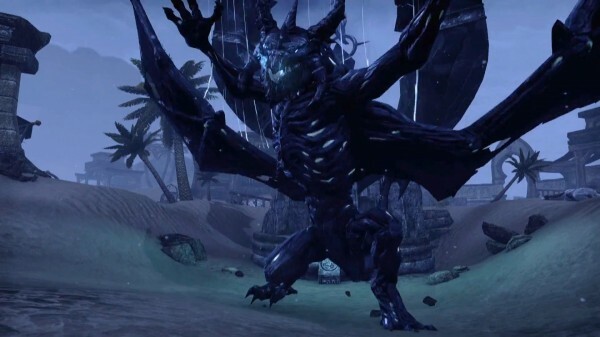 Dread enemies are those that come after you have destroyed the 4 pinions surrounding the Dark Anchor (see Mechanics section), and will be a beefed up version of any hardor normaltypes with “Dread” as a prefix, excluding some spawns altogether, such as, Spider Daedra, Scamp, Banekin, Flame Atronach, and Winged Twilight. Note: Not all Dread types have “Dread” as a prefix, such as the “Draugr Deathlord”, there can be some others like a Bone Colossus. Generals are more difficult than any other type, and are very rare named random spawns. 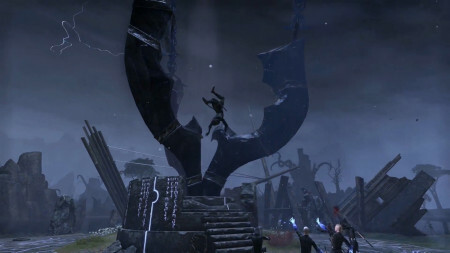 Generalsreplace Dread enemies, and you will be notified if one is coming via a special dialogue from Molag Bal himself. There are 16 unique Generals in total, and there is an achievement with a title tied to defeating them all. They can be more difficult versions of Hard or Dread enemies, but a full list is in your achievements panel under the “Dark Anchors” tab. Gotta catch ‘em all! Dark Anchors activate when any player comes near 20-30 meters of one, granted it has not recently been destroyed. They will activate regardless of if a player has completed it before or not. All Dark Anchors share the same mechanics, such as spawn points of enemies, types, and reset time, etc. All anchors have a 10 minute reset time, from either after the 5th center pinion was destroyed (see below), or they self-destruct. Anchors can self-destruct if any active mobs were pulled and reset either by a player dying and reviving at a Wayshrine with no other active players nearby, or just running them off. This can happen whether an anchor is just starting or already in the process. If all players die, enemies will reset to their spawn locations and wait until engaged upon again or no players are nearby and then de-spawn. When engaged, enemies are linked and will be pulled together. The exception to this is the Dread spawn, where they can be pulled separately, but this might not always be the case. An anchor pinion before it is fully charged. Surrounding a Dark Anchor are 4 anchor pinions, and 1 more in the center that is activated after finishing an anchor. There is also an achievement for destroying 100 of these yourself. Don’t be too greedy, though! The first 4 come up after you defeat the Worm Cultists. These pinions require a varying amount of souls to activate, changing on how many players are nearby the anchor. Once filled, they open up with a unique sound effect and glow blue. They can then be destroyed by any player simply by going up to it and pressing the “use” key. 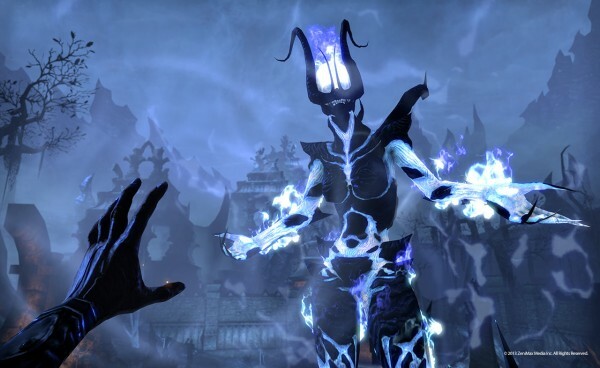 Once destroyed, all nearby players gain a “Spirit of the Daedra” buff for 30 seconds, and have all resources filled to full. The exclusion to this rule is the 5th pinion.After all 4 pinions have been destroyed, a 5th center pinion comes up and a Dread or General spawn will begin along with 2 other sets of normal to the left and right respectively. Any remaining enemies are also disintegrated, with the exclusion of summoned enemy pets. The center pinion is then able to be destroyed after defeating all the Dread or General tier enemies and their side spawns. The order of which any of the pinions are destroyed is not important, but keep in mind they restore your health, magicka, and stamina. Souls are dropped from normal and hard spawns. Normal gives 1 soul, and the latter gives 2 to the counter. Enemy pets do not drop souls. The soul will fly out and enter the closest non-destroyed or already active pinion, and add to the amount required. Due to this, it is possible to “overflow”, wasting a soul. This is also possible if 2 enemies die at nearly the same time and area, sending both souls to one pinion. With few players, it is recommended that you pay attention to this to require less kills. With 1 or 2 players, pinions require 4 souls. 3 players seem to require 5. Any more than 3 players require many more souls, and upwards of 4 players can affect spawn rates and amount of souls required greatly. For this reason, anchors can prove to be easy with 1 to 2 people, or more than 6, but 3-5 may be more challenging with random groups. Note: It is only recommended to solo or duo them at higher levels when you are more experienced. 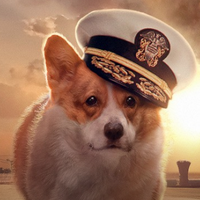 Lower level anchors may be way easier, but when you get into veteran ranks it can prove to be somewhat difficult. Also, lower level zones are much more populated so trying to solo one may prove to be difficult with the amount of players around. Dolmens have a consistent enemy spawning pattern. Worm Cultists will be the first enemy type you encounter, there are 6 that spawn assorted somewhat randomly based on the dolmen you are at, made up of the list in the Enemies section above. If some time is waited before pulling them, they begin a “cycle” and will float up and sacrifice themselves to the portal, down to 2 cultists, before spawning again and repeating the cycle. For this reason, it can be effective to wait a bit of time for there to only be 2 or 3 cultists and then start it up for when soloing, but just going crazy with area of effect abilities is always an option, for more fat loots. It is possible for the dolmen to reset after some time of going through this cycle. 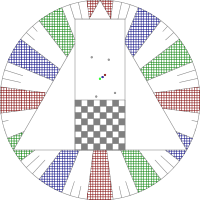 Enemies spawn by falling from the portal in the sky, with their location indicated by a light-blue expanding circle on the floor of the anchor, being formed into evil beings as they hit the ground. While enemies are falling, they can be damaged by area-of-effect abilities, as well as the Daedric Summoning pets from the Sorcerer skill line. Familiars and NPC’s will begin attacking and move to enemy location as soon as the blue circle appears, even if the player cannot see or attack the creature with a targeted ability. This could be a bug, or just due to tech limitations, since many enemies in the game seem to ignore up-down axis rules. An anchor pinion when it is ready to be detached. When an anchor begins, 3 types will spawn at first – 2 normal and 1 hard. These are always in the same location. Normal monsters can spawn all around the anchor, and can take up Hard spawn locations, though the first spawn is always set to the right half of the anchor. Hard types have 2 areas they can spawn at, taking up the left half and back side. There can only be 2 hard types at any given time, and their speed of spawn can be affected by number of players nearby. However, there will be times when only normal types will spawn for some time, even with multiple players nearby, as well as moments where no mobs will spawn if you have defeated them quickly. With 2 or less players, you should only get 1 hard mob at any given time, though it is not uncommon to get 2. There is some timing based formula involved, as if you do not kill enemies with multiple players at the anchor even more will spawn. Anchors have many random elements, but there is a limit to the amount that can spawn, that being 2 hard types and 3-5 normal. Hard types will always spawn in the same general area shown in the diagram, but can change left or right some if another normal spawn is taking up its spot due to having numerous players nearby. Since Generals replace Dread types on their spawn point to the left of the stairs, you will still normally have 3 sets of enemies after destroying the 4 pinions. 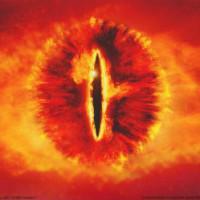 The only exception to this rule is the “Son of Molag Bal” General, as he spawns in the center. 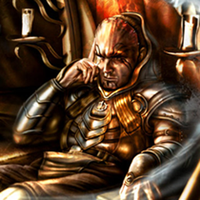 Generals can be one at a time, or groups of dremora, but are always named and follow after the 16 that exist. They are very rare, and have an even further rarer chance to drop named items unique to that General. All mob spawns are random, but come in sets at a time. Normal spawns are separate from hard in this table, yet they are still linked in the anchors set. This phases or changes from set to set based on a timing formula as well as how many enemies have been slain. For example, you could get a Storm Atronach, Clannfear, and Flame Atronach for the first few, but then a Spider Daedra, Clannfear, and Ogrim for the next. It is uncommon to see 2 different hard types at one time. This usually only occurs if the last hard type of a specified mob type has spawned and has been active for quite some time, leaving 1 open spot for the new set or phase to come in. It is more common to see only 2 Storm Atronachs, in this example. Normal spawns do not abide by this rule. For destroying Dark Anchors, players are awarded significant experience for first time completion, as well as achievement credit and loot from the Dread tier phase of enemies. Loot only is dropped from cultists and the last set of enemies, after the 4 pinions are destroyed. This loot after completion is similar to world bosses, which can contain treasure maps for the zone you are in, as well as rare set bonus pieces for that level range among others. Most commonly though, drops are random junk loot green and blue quality. If a player does an already completed dolmen, they only get experience for the mob kills and moderate experience for the Dread kills. This is why you commonly will see “clear” groups that go around doing world bosses and dolmens, because it will benefit the most people and yield the same experience, albeit a bit slower overall for anchors. For the most part, it is recommended to complete these encounters with multiple people regardless, at least when leveling. Players cannot receive loot or experience if the anchor and enemies are more than 5 levels lower from theirs. For Veteran ranks, this means level 44 or below. An additional +20 to Fighters Guild line, if not maxed, is given after completion, though more would have been bestowed overall due to the killing of Daedra. Dolmens are recognizable from thousands of feet away. This section will be a collection of tips and strategic advice I have to offer about conquering Dark Anchors. Keep in mind this is from my experiences, so your experiences may be different, as well as playstyle. The general consensus I have come up with through watching other players at Dark Anchors is to just zerg anything and everything. While this may be highly effective, I encourage players to try and take into account all of the spawns and enemy types as well as mechanics to be able to speed things up and possibly spread the word to others. Also, being in an organized group will definitely, as expected, be far more successful. I have seen many a random bunch of players end up getting overrun and slaughtered by the all powerful Storm Atronachs and Harvesters. I advise players to at least slot one defensive and fighters guild ability when doing a Dark Anchor if you do not have it. You never know what groups or partners you may run into and what they are running, so heals could be lacking and that’s where you see people dying over and over to the above mentioned. I also recommend for players to not run off very far from the dolmen, as it can cause just more chaos and mobs to reset, filling their health back to full. 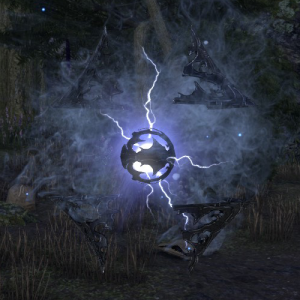 Since enemies are linked in a pull, that angry Storm Atronach that you pissed off will just come running back at you full speed and full health. It is very important to take care of enemies such as healers immediately, since they can heal any spawn. Prioritize keeping the amount of normal spawns to a minimum, as they are generally easy to kill and having extras up that are not dealt with can be harmful. Remember, destroying pinions restores your resources, so keeping one up may prove valuable. Generally, I prefer to set up near a pinion and let the enemies come to me and other players, so that you focus on one pinion at a time instead of spreading the souls out to the various four. This also allows the travel time of the flying soul to be much shorter, possibly resulting in a quicker encounter. 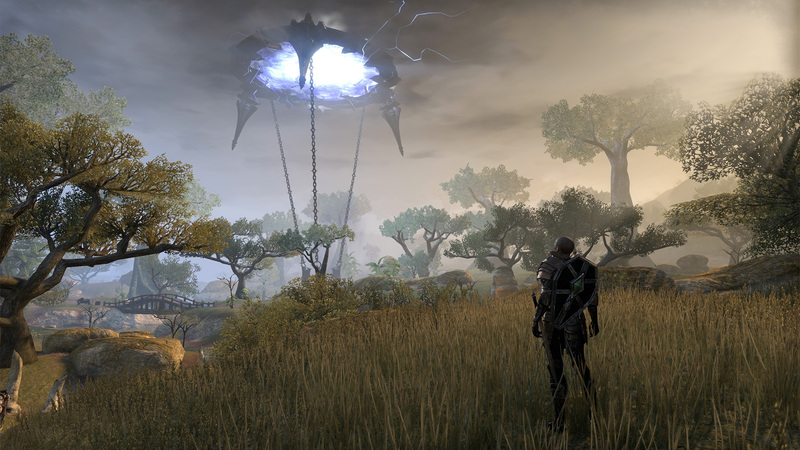 I put Harvesters above Storm Atronachs because I found them to be most difficult if not eliminated. Those top two should be dealt with very quickly. They still have default behavior of their regular world types, so the conal hard hitting AoE and pickup, as well as orbs from Harvesters will need to be watched out for. To counter this, stacking on top of a Harvester and using area of effect abilities while watching for a quick interrupt will suffice. If you have enough damage, simply ranging them down will be fairly easy and quick to eliminate them as well. There are many ways to deal with hard types, simply focusing and killing them or leaving them alone and have a pet such as a Summoned Storm Atronach or another tanky player hold onto them while the rest of players kill normal types. If you are filling the last pinion and don’t have that many people or much damage, it can be a good idea to leave a hard type up if more normals are spawning to fill it and quickly destroy it, eliminating said enemy. For obtaining the achievements, it is possible to go to lower level zones to do them very quickly, however, I would advise against this because it may impact lower level players’ experience and you will not be getting any experience or loot yourself. In my endeavors, the General spawns are completely random. 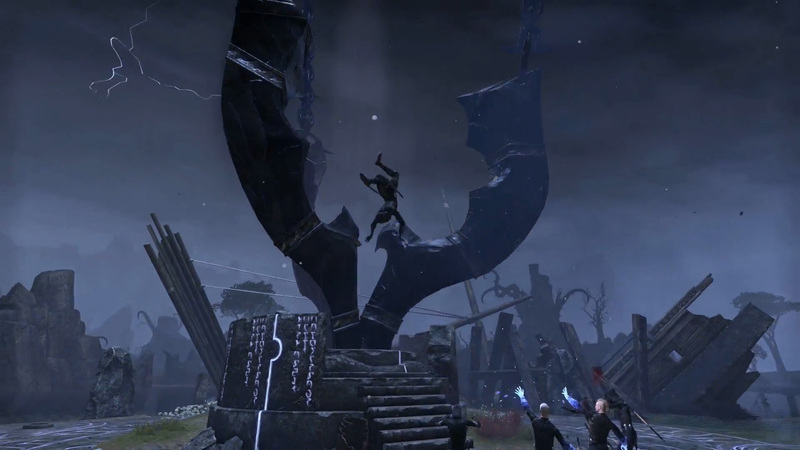 Unique anchor invasions are led by Molag Bal's most fearsome generals. 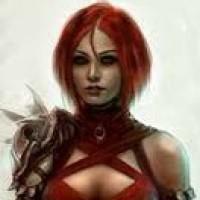 Since I am a Sorcerer myself, I will share a few abilities and my explanation for choosing them, which may help for your ventures if you are a Sorcerer. I will keep it somewhat brief, and just go over the main things, and this is based on my playstyle so your mileage may vary. I will not go into build options entirely unless requested simply because almost anything can work, which goes for all classes. I currently play as a caster Sorcerer. Summon Storm Atronach: Otherwise known to me as Stormbro, is a great asset for dealing with hard type enemies and keeping them busy or just having another meat shield to take damage while you pew-pew. I take the Greater Stormbro morph for the increased duration. Combined with fighters guild passives and the Power Stone passive, you can get this ultimate up very quickly and the extra 10 seconds duration really helps your survivability. Sometimes, he does not work as intended - and will just disappear into the void or stand there watching me fight off hordes of enemies. So much for Stormbro. Crystal Fragments: One of the Sorcerers best skills, able to be cast instantly by using other magicka costing abilities is a great tool to have. It is a high damage nuke spell that has a variety of uses and you will get many instant procs using other, low cost skills. Mages Fury: One of the best executes in the game, this is a must for me - it is great for finishing low health targets and can be cast preemptively if you can gauge damage on target to hit 20% within that 4s window. It is also a quick cast and relatively low cost, so a great way to proc Crystal Fragments. I choose the Endless Fury morph, as the magicka restore is very nice. Bolt Escape: It is an extremely versatile skill, used offensively or defensively. For Dark Anchors, since the fighting area is somewhat small, I take this skill often for more maneuverability and ability to kite enemies if needed. I use the Streak morph, which is a more offensive choice - it is a great ability to disorient and damage groups of enemies, as well as quickly close the distance and interrupt a healer that may be casting. It also is extremely useful for getting the proc on Crystal Fragments, if on the same bar. 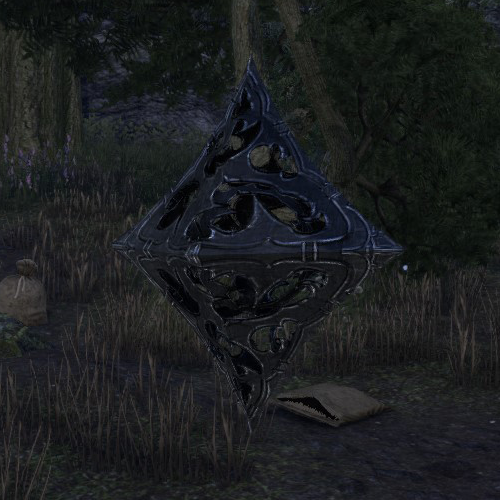 Amongst all of the randomness that surrounds these Dark Anchors throughout Tamriel, there is quite a bit of information that can still be obtained and shared within the community of ESO. I do hope that this shed some insight onto that which are Dark Anchors, and I wish you the best of luck in your adventures! Miscellaneous/bugs: If a player recently zones in and rushes to an already active anchor with other players, sometimes enemies will be invisible and unable to be attacked by said player, but the blue circle will be visible on the ground. 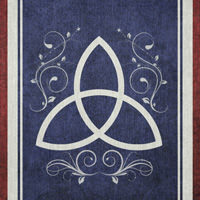 About the Author: I am an Aldmeri Dominion VR10 Breton Sorcerer playing on the NA server. Shalinoth hasn't shared anything about themselves. Jesus christ! So much to read! Great guide, and yeah the chest drops are to the right of the stairs. I also have an alt Breton sorc in the AD faction and concentrate on summoning, dark magic and destro staff with him which suits my playing style and have great fun with. I do each dolmen as I come to them but will revisit them later on to try soloing and to try and get the named generals. Thanks for your time and effort in putting this well researched and presented guide. ”Know the truth. Observe the law. When in doubt, seek wisdom from the wise.” – Julianos. Super helpful. Ive been sort of stumbling onto these and not really knowing what to do. This helps a ton. An enjoyable and informative read. Much thanks! 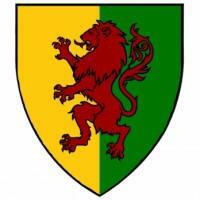 There will be no Empire. We will bow before none.